WP Offload SES relies heavily on cron functioning correctly for background processing, which allows long- running tasks to complete without having any negative impact on your users. You’ll need to configure the cron yourself to get the best performance for WP Offload SES. This doc will walk you through the process. Out of the box WordPress checks for cron jobs on every single page load by firing a request off to wp-cron.php, which is very inaccurate. If a site doesn’t receive any visits for a set amount of time, cron will not run during this period. This is also true of sites that implement full page caching, as WordPress is generally bypassed. Basic auth and some security plugins can also restrict cron if not correctly configured. To ensure that cron runs more often, you need another method of hitting wp-cron.php. If your site is running on Linux and you have access to SSH you can use the built-in crontab. If not, a cron service can be used. Regardless of which method you choose, a cron schedule of 5 minutes or less is recommended. 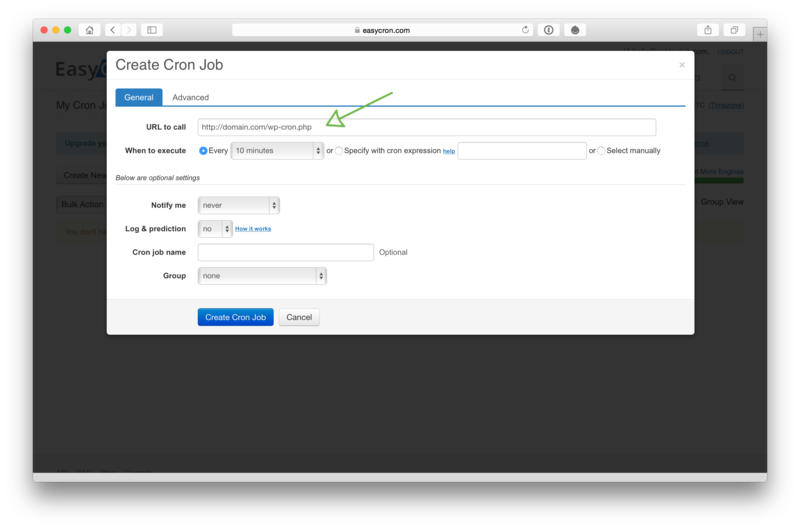 If you’re setting this up for a Multisite installation, we recommend setting up a cron for each subsite. Sign up for an account at your chosen provider and proceed to create your first cron job. You can test that cron is correctly configured by installing WP Crontrol. Once installed and activated, head to Tools > Cron Events. 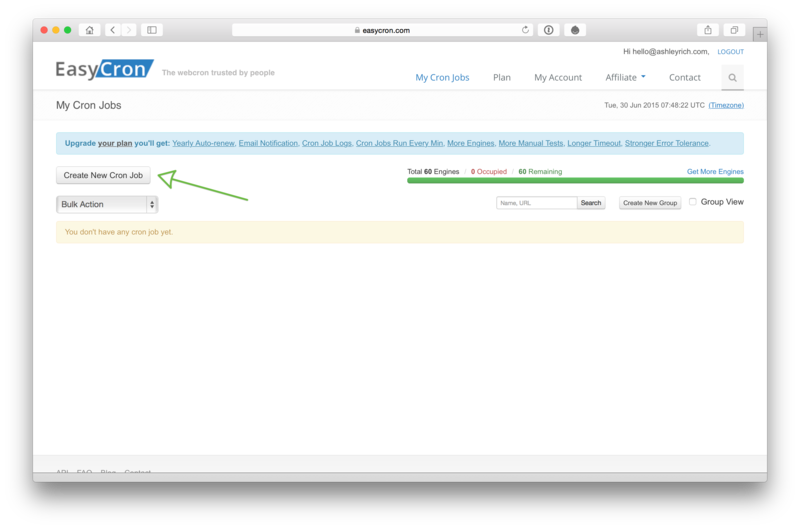 If you’ve already configured your IAM user and defined your access keys, you can continue setting up WP Offload SES either by using the Setup Wizard or by configuring the plugin manually. If you haven’t already created an IAM user or defined the access keys, check out our Quick Start Guide.